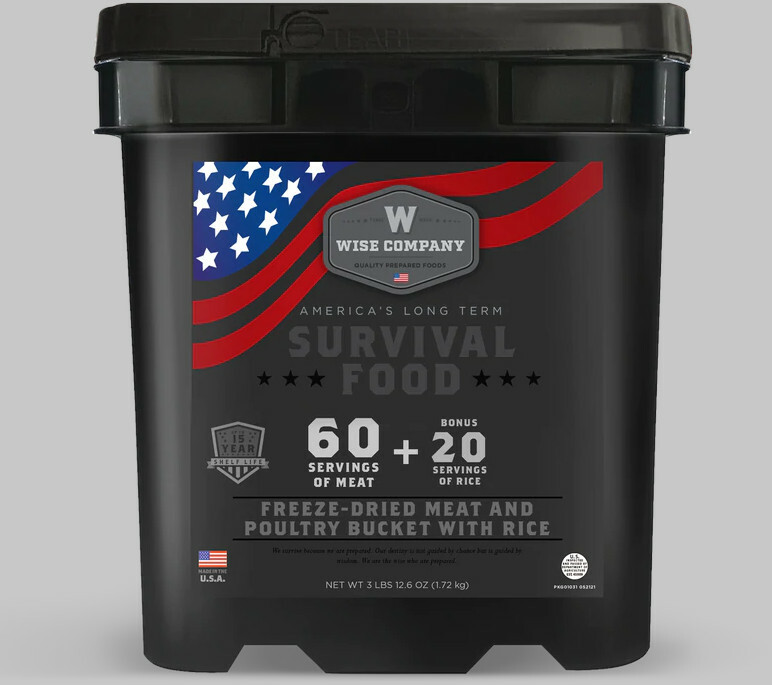 Wise Company freeze dried meats are uniquely seasoned so that they can be combined with other food storage ingredients you have to create more complete meals. Each Grab and Go container of gourmet freeze dry meat contains individual pouches that can be opened and used without decreasing the food’s shelf life. Each individual pouch of Freeze Dry Meat can be added to much more than your emergency preparedness supply. You can now enjoy high protein meats while camping, hunting, hiking or even everyday use like last minute dinner ideas. Seasoned Freeze Dry— Unlike dehydrated foods, Wise Freeze Dry Meats retain color, texture, flavor, and most importantly nutrition. Great Taste— To ensure optimal taste, texture, and nutritional value our meats are uniquely seasoned with a variety of flavors. Lightweight and Condensed—No need to lug #10 Cans around and be forced to consume large amounts of food in a very quick fashion once opened. Wise Freeze Dry Meats come packaged in Mylar pouches and are stored in a grab and go plastic container. Nitrogen Packed Mylar Pouches—Removes the majority of the oxygen residual in each pouch, thus ensuring optimal taste. Simple to Prepare—Just add hot water and within minutes you can enjoy fresh, real, seasoned meats. Easy to Transport—Grab and Go individual container makes it easy to get up and go in case of emergency. Extended Shelf Life—Up to 15 years under ideal storage conditions.